Stunning ranch with true main level living at it's best! Brand new carpet and open family room with a marble fireplace & a wall of windows overlooking the meticulously maintained, private backyard. The gourmet kitchen boasts 42" cabinets, granite slab counters, center island, top-of-the-line stainless steel appliances & a large pantry. The tech room off of the kitchen would make a perfect 2nd office or a homework station. Main level master retreat w/ luxurious 5-pc bathroom, with granite, & walk-in closet. This level also has second and third bedrooms, along with an office and laundry room. The backyard is a gardener's paradise with leveled beds, a newly stained deck, brick pavers, a gas line along with a gas grill included, tons of drip systems and a 220 outlet for a hot tub. There are TWO locations for RV parking- so, bring the boat and the RV! 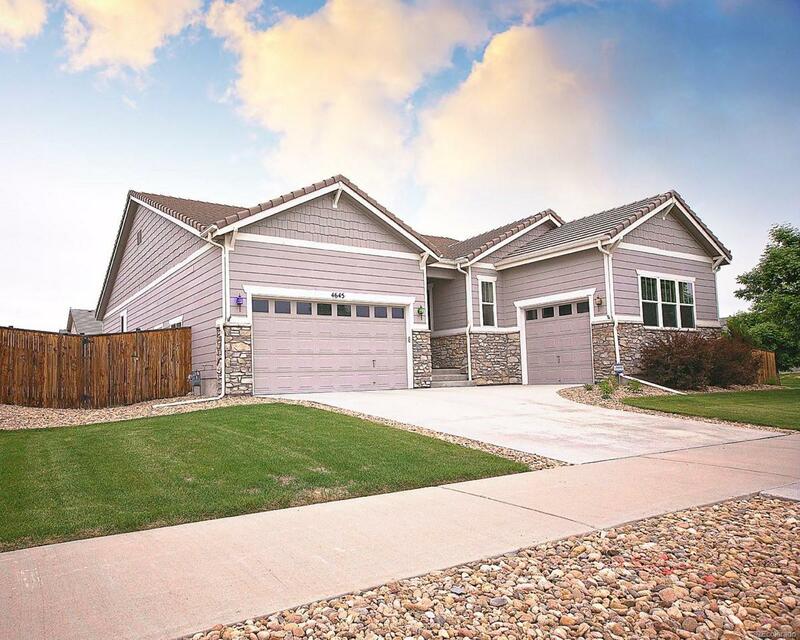 Excellent location, just minutes from I-76 with easy access to DIA or Downtown Denver, and a minute's drive to King Soopers! Association Name Primary Parkside At Brighton East Farms Homeowners Assc.